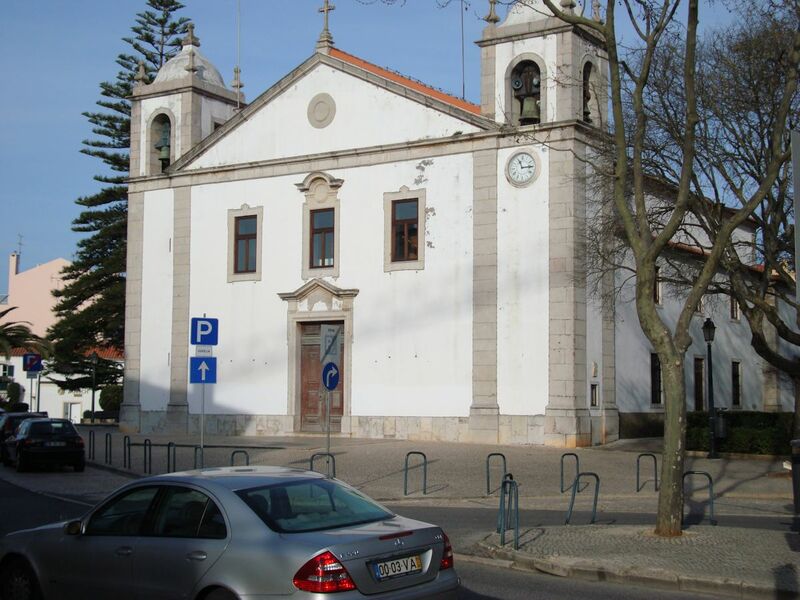 Igreja de Nossa Senhora da Assunção is a simple whitewashed church on the outside, fronted by lawns and palm trees, inside a delight to the eye. I had briefly popped into this church one evening, but last night, late night, I was walking back from an excellent meal at 28 and was surprised to find open. Out of curiosity, I walked in, to find a service had just finished. I discretely took a few photos, no flash, then when I saw the priest was free, asked him why the church was open. He explained a little about the history of the church, and we had an interesting theological discussion until almost midnight. As well as the gilt work, amazing blue ceramic tiles on the walls. This I have noticed on many of the buildings in Cascais. I learnt quite common in Portuguese churches. I asked was the blue stone that surrounded the altar and formed the altar, marble? I was told yes. Blue marble I have never seen before. I was told it was quite rare, it was sourced from Brazil. The church dates from the 16th century. 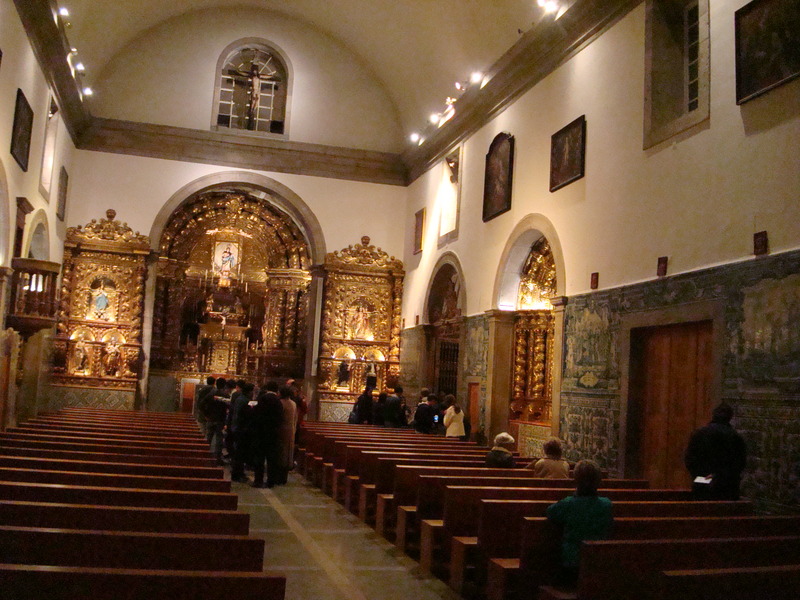 The 1755 Lisbon Earthquake, also known as the Great Lisbon Earthquake, destroyed much of the surrounding area, leaving the church standing, but not untouched. I assume the former Royal Palace, Residencial Solar Dom Carlos, I was staying in dated from this period. My attention was drawn to an arch at the back of the church which could be seen to have partially collapsed in the middle, and columns either side which were slightly out of alignment to vertical. A special thanks to the Parish Priest for sparing a passing pilgrim the time at so late an hour. Synchronicity: It was the day after Festa de São José I was in Igreja de Nossa Senhora da Assunção talking to the Parish Priest. I mentioned a prayer by Abbot Burkhard in Istanbul. One week and one day later, Paulo Coelho in a tweet, referenced this prayer on his blog. 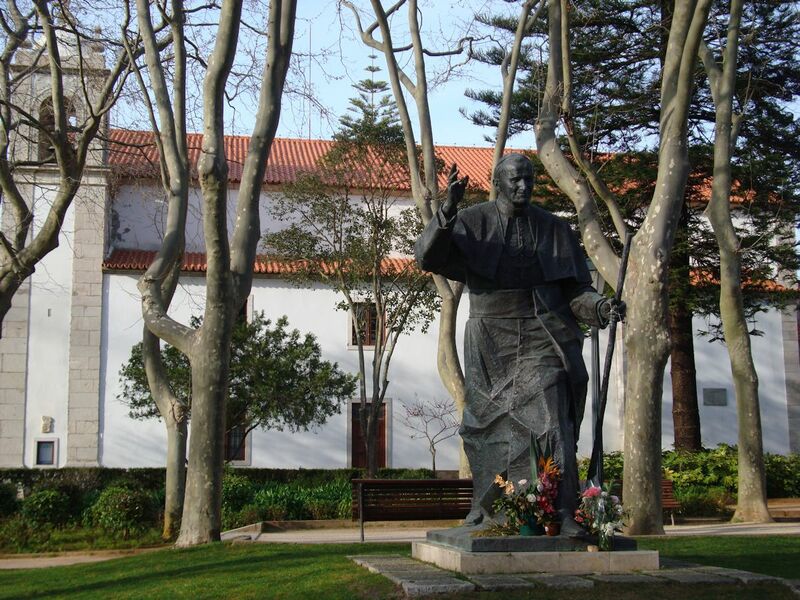 This entry was posted on March 21, 2014 at 10:38 pm and is filed under architecture, Cascais, Christianity, religion. You can follow any responses to this entry through the RSS 2.0 feed. You can leave a response, or trackback from your own site.